Enter your name and email to get your FREE subscription to Rec Therapy Today and See Why Over 10,000 Recreational Therapists Subscribe. 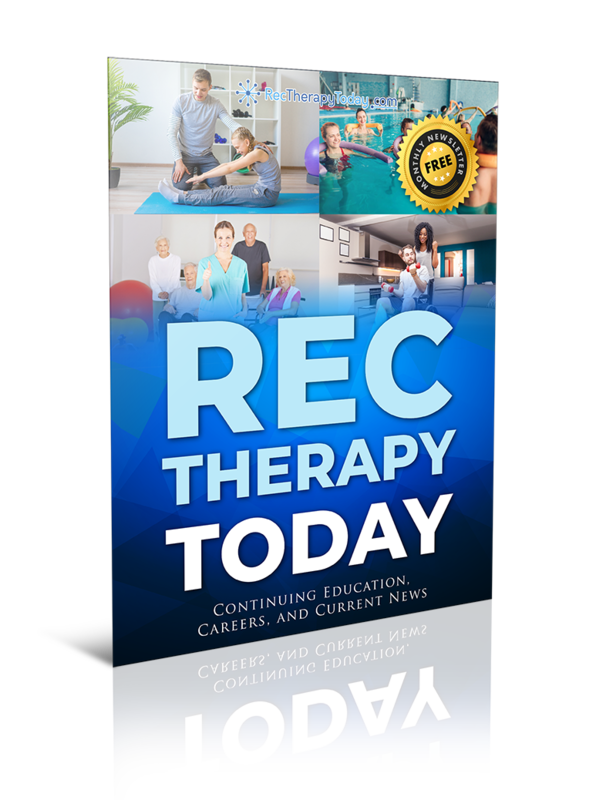 You are now signed up for Rec Therapy Today! With over 10,000 active subscriptions Rec Therapy Today has become the largest newsletter for RTs on the web. We pride ourselves on being the #1 resource for Recreational Therapists looking to further their knowledge, connect with other passionate and inspired RTs, and stay up to date on the latest resources and continuing education credits. Enhance your practice with the latest tools and techniques for group therapy and one-on-one sessions. CEUs are more than just a requirement, and we help you to find CEUs that make a difference for you and your patients. 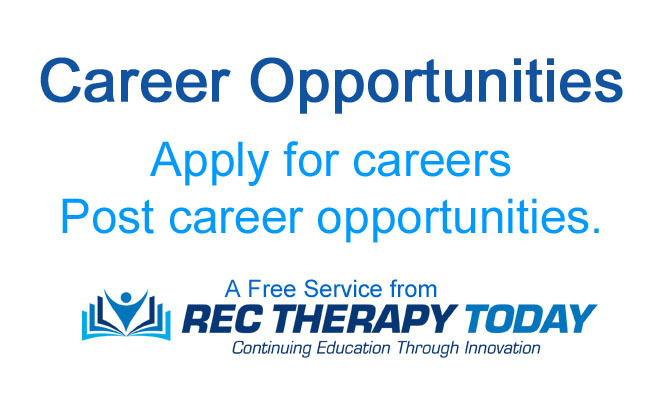 Whether you are searching for a position or trying to fill one, Rec Therapy Today can help. Connect with a community that shares the same love and passion for recreational therapy as you. 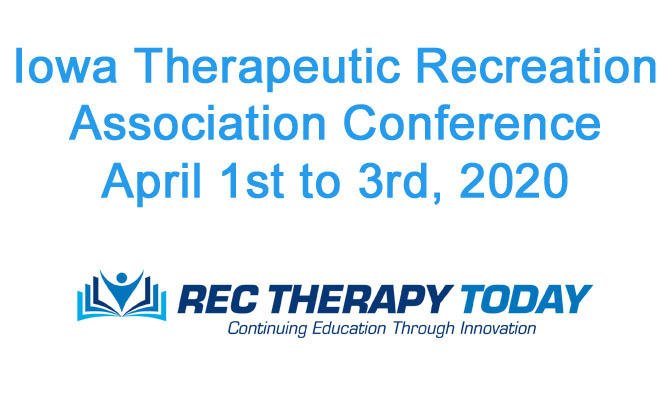 Enjoy inspirational stories from the rec therapy world that highlight the impact and contribution RTs bring to the world. Are you ready to share your knowledge with other Rec Therapists? We provide resources to create your own CEUs. 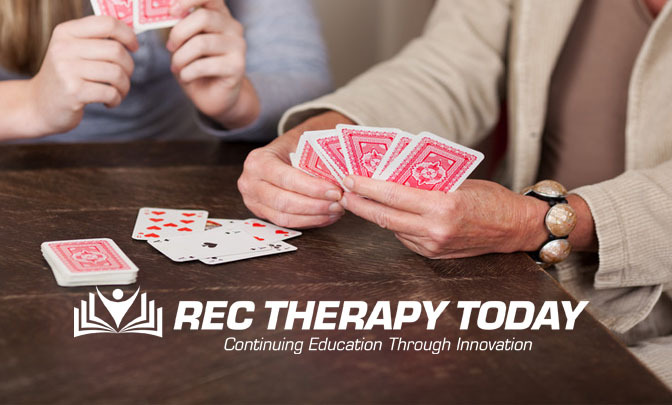 Danny Pettry, author and founder of Rec Therapy Today, has been delivering trusted, certified, and highly rated Recreational Therapy CEUs to thousands of Rec Therapists since 2007. His mission is to be your # choice for self-study continuing education in Rec Therapy and deliver courses that truly make a difference. All of Danny’s courses are NCTRC approved. RecTherapyCEUs.com is the #1 Self-Study CEU Program for the Rec Therapist! Sign up today to improve your knowledge and skill through self-study online courses. Are you ready to share your knowledge with other Rec Therapists? Danny can teach you how to create your certified CEU course and earn passive income for months and years to come! Join our Facebook Community and connect with thousands of Rec Therapists!